Ski season is just three short months away and we know what that means: It’s time to buy your season pass before the price jumps and jumps and jumps to opening-day highs. More specifically, the prices of 2017-18 Epic Pass products to Vail Resorts ski areas increase on Sept. 5. The full Epic Pass, which offers unlimited and unrestricted access to all Vail Resorts properties, including Vail and Beaver Creek, costs $859 for adults or $449 for children (there is no teen option) through Sept. 4. This year’s Epic Pass costs $50 more than last year’s version but also includes full access to Whistler Blackcomb, along with select days at 30 partner resorts across Europe. The Epic Local Pass currently costs $639 for adults, $519 for teens and $339 for children. 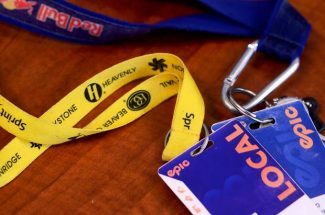 It provides unlimited and unrestricted access to Breckenridge, Keystone and Arapahoe Basin as well as 10 restricted days at Vail and Beaver Creek. The Keystone A-Basin Pass is the best deal for unlimited skiing in Colorado, according to a release from Vail Resorts. Skiers and snowboarders can enjoy unlimited access to Keystone and Arapahoe Basin (with holiday restrictions) for $349 if they purchase before the Labor Day deadline. The children’s pass is $259 until Sept. 4. To purchase an Epic Pass or learn more, visit EpicPass.com. Returning for the third season, the Epic SchoolKids Colorado Pack offers free skiing and snowboarding for kids from kindergarten through fifth grade and does not require the purchase of any other products. In addition to providing 16 days of free skiing or snowboarding with four free days each at Vail, Beaver Creek, Breckenridge and Keystone, it also includes one free first-timer lesson with rental equipment. Enrollment for Epic SchoolKids closes Oct. 8, and Vail Resorts recommends parents enroll their kids early to beat the rush. For additional information about Epic SchoolKids and registration locations, visit EpicSchoolKids.com/colorado.